Don't miss opening meeting and a picnic on Crescent Beach, Sunday June 26th! Want to sail over, but don't know how? Just hop in a Club Day Sailer, Sailing School instructors will be skippering! 7/24 - Monday (this happens to be Gill Regatta at SHYC! Staff and adults alike compete on Thursday evenings at 1800 in this fun race series. Cookout follows the races! We are thrilled to announce that Claire Hooper will be joining the Sailing School Team as Administrative Assistant working with Program Director Chris Beard in the Clubhouse during Sailing School hours. Claire is a year-round resident of Chatham. After living in New York City for many years, she returned to Chatham 7 years ago to raise her two daughters, Grace and Laura. While in New York, Claire worked as an office manager for American Express Travel, a speech writer for the Association of Junior Leagues and a 3rd grade teacher at The Chapin School. She also has multiple years of experience as a fund raiser and event planner. Over the last 7 years, Claire has worked for the Monomoy Regional School District as an accounting clerk, substitute teacher (Pre-K through Grade 12) and substitute administrative assistant. She currently is an administrative assistant in the Main Office of Monomoy Regional High School in Harwich. 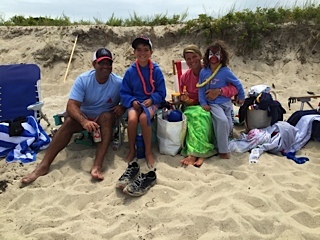 Time off during the summer months makes it possible to continue doing what she loves best about her job at Monomoy High School--keeping things organized and on task for the rest of the team and being able to be of service to students and their families. Sailing School Parent Announcement As the first week of Sailing Session 1 approaches, please feel free to reach out to our new Program Director, Chris Beard, at [email protected] with any questions you may have. Please be sure to come meet Chris on Monday, June 26 at 9:30 am for our Parent Information Session. This is a great time to ask questions and learn about all that is new for summer 2017. From the Auction Committee: We are hoisting the sails, taking hold of the tiller, and looking for a puff...please join us at the All Member Cocktail Party and help make the Stage Harbor Sailing School auction a success! The Silent Auction is held every other year and benefits the sailing school - scholarships to the summer programs, our fleet (420s, Optis, Bics), racing and instruction. We have a great Silent Auction planned with amazing boating experiences, incredible artwork and unique items. We are also going to have mini sailboat races in the pool – no rigging required and the fun is not to be missed! There will be great summer prizes for the winners – and the evening will conclude with live auction with priceless SHYC items! We hope you can join us and make this year’s auction a success … and lots of fun! 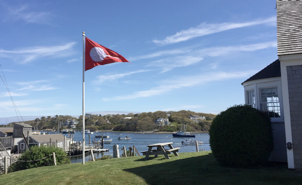 From [email protected] Committee: Looking forward to a great summer of lunchtime activities at the Club and around Stage Harbor. Plans for the first Sailing School session include: visits with the Chatham Shellfish Constable and Crew, unique art projects, games on Chief's Pier and motor boat trips. Not sure what to do with plastic bottle caps the recycling station won't accept? Bring them to the Club, [email protected] is collecting them for an upcoming project! Register your Opti Sailor for the 23rd Annual SHYC Opti Regatta Whether your children sail Green Fleet or Champ, don't miss this opportunity for them to sail in the home waters of Stage Harbor. Find out how you can get involved: Read about all of our committees and volunteer needs here.